Typical Scorpios do well in medical fields because most are not squeamish, and they are able to deal with things that frighten other people. Nerves of steel, coolness under pressure, and a tendency not to show weakness in front of others also suit some Scorpios to law enforcement or military careers, or work as spies or private investigators. Scorpios who prefer office jobs make excellent researchers and accountants because they are good at detail work, though their talent for precision also suits them to fields that require fine motor skills such as surgeon, dentist, or machinist. Scorpios also tend to be good with money, so they may choose careers in the financial industry. Because Scorpios have issues with power and control, they do best when they have some control over their own work situations (they can’t tolerate being bossed around, even by a boss). 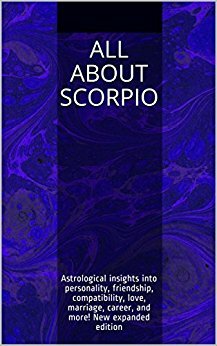 For more on Scorpio, see Scorpio Personality Profile, Scorpio Love and Friendship Style, Famous Scorpios, and Scorpio Marriage and Compatibility. For a full list of astrology articles, see the main Astrology page.